China has the most influence over the world’s three nuclear problem states. Will it start to assert it more? There are Chinese politicians who seem to revel in their country’s superpower status when they hold the stage at international events. 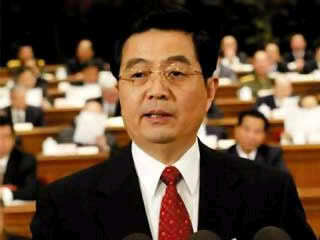 President Hu Jintao certainly isn’t one of them. At this week’s Seoul Nuclear Security Summit, he displayed the diplomatic minimalism that has become his own kind of anti-trademark, advocating a “sensible and scientific approach to nuclear security” with a calmness that belied the nuclear crises bubbling in Asia and the Middle East. A more flamboyant Chinese leader might have said this: that when it comes to nuclear security in 2012, China is the only power that matters. On the question of nuclear proliferation, there are essentially three countries the world is acutely concerned about: North Korea, Iran, and, to a lesser extent, Pakistan. And in all three cases, Beijing has more leverage than any other foreign government. As Pyongyang mixes its messages – promising to readmit IAEA nuclear inspectors while simultaneously wheeling its latest rocket towards the launch pad – the diplomatic signals all seem to point to the fact that only China has the ability to make any kind of constructive intervention. Of course, the opacity of Beijing-Pyongyang relations fuels speculation about how much influence over the Kim regime China really has. Nonetheless, U.S. President Barack Obama’s decision to co-ordinate Washington’s response to the upcoming North Korean rocket launch with Beijing is clear recognition that China is a key player in the present situation. More broadly, while U.S. food aid could mollify Pyongyang in the short term, the opportunity to undertake market reforms with Chinese guidance and, more importantly, with Chinese cash is surely the only inducement that might feasibly coax North Korea’s young new leader to change course and ultimately give up his nuclear bombs. China is often criticized for its motley crew of international allies – and, indeed, the country’s roster of friends can leave much to be desired. But it’s an interesting quirk of international relations that when dealing with thorny issues like nuclear security it’s actually very useful to be able to get these undesirables to pick up the phone.